Larry spent much of his childhood on a farm in Ohio and wanted to be a farmer when he grew up. However, halfway through high school, he discovered model airplanes and started building them. While flying them, he noticed that, when the model ran out of gas, it did not always come right down. Sometimes it circled in rising air. He then built a model glider and towed it with a model airplane - that worked well. His first airplane ride was at Fort Wayne Airport in 1938 in a Taylorcraft. The pilot allowed him to "feel out" the controls. He loved it. Aviation was now his goal. His slight touch of color-blindness prevented him initially from passing a military or civilian pilot physical examination. He read that a physical was not required to become a glider pilot, so after a conference with his parents who encouraged him, he joined the Detroit Glider Council and started flying gliders. In 1939 he started single-seat training towing behind a 1929 Ford Roadster. In order to fly closer to home in Ohio, he formed a glider club in Wauseon and, with the help of his mother, purchased a Franklin Utility Glider for $375 and a 1929 Ford Roadster for $25. Soon he had his commercial glider certificate and could instruct (allowed at the time) and give flight demonstrations for hire. 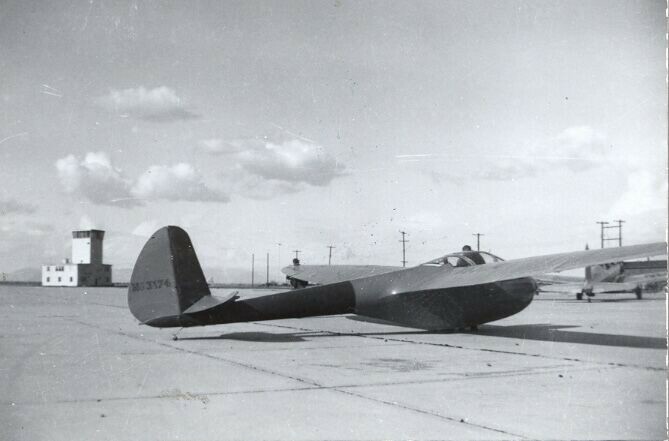 He participated in the 1941 National Soaring Contest, July 1941, in Elmira. In 1942 he accepted a position with the Twentynine Palms Air Academy instructing Army Air Force glider pilots. The glider school closed in the spring of 1943 and changed to an Army Air Force Civilian Contract School to instruct students in the old reliable Stearman bi-plane. 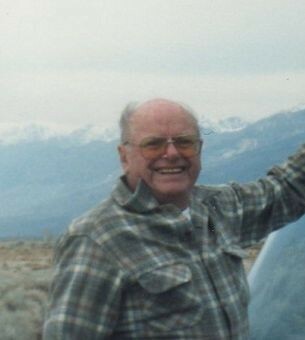 Larry went inland to Quartzite, AZ (civilian flying near the coast was prohibited during the war) for power time, returned to Twentynine Palms, was checked out by the Chief Civilian flight instructor and a military check pilot and approved to instruct in primary flight training. He was also inducted into the Army Air Force, received a physical examination by the military but they did not check for color blindness, assuming he had been checked since he was flying gliders. After his active duty with the Army Air Force, he attended Cal-Aero Technical Institute and graduated from their Master Mechanics course. He passed the government examinations for an Aircraft and Engine Mechanics license. Now he was ready to work in the field of aviation. His first job was working for Pacific Overseas Airline as a flight line mechanic. Then he received a job offer from a friend to be a mechanic and run the shop at the Goshen, Indiana Airport. It was there that he passed the exams to become a civilian flight instructor and to fly twin engine, land and sea. In 1951 he joined the Sierra Wave Project along with Dr. Joachim Kttner of the Cambridge Research Center. He was hired as one of three glider pilots, to fly the towplane and was the A&E mechanic for the project. 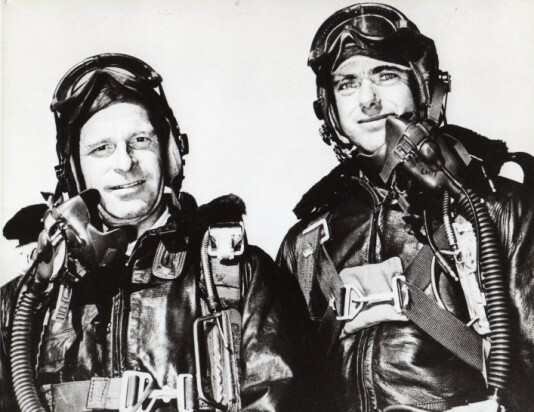 Two other pilots from the Twentynine Palms group were also hired - Ramon Parker and John Robinson (Chief Pilot). During the project, he had the opportunity, with Harold Klieforth, a UCLA Meteorology student as observer, to set two world records: Altitude gain 34,425.9 feet (10,493 m) and absolute altitude 44,255.2 feet (13,489 m). They flew a Pratt-Read. During the follow-on Jet Stream Project, severe rough air caused the glider to break up at 14,000 feet. Larry was momentarily knocked out but soon found himself outside the aircraft. He pulled the rip cord and all was well - eventually. His comment at the time - "DARN!" After some time working with Goodyear in New Mexico, in 1963 he hired in with Lockheed, Burbank, California as a flight test engineer - worked at Area 51 and later at Edwards Air Force Flight Test Center on the U-2, P-80 and the Mach 3 Blackbirds. He retired in 1983 and kept flying until 1995. Larry Edgar earned Silver #304 in 1958 and was among the first six recipients of the Symons Three Lennie Pin in the early 1950s.